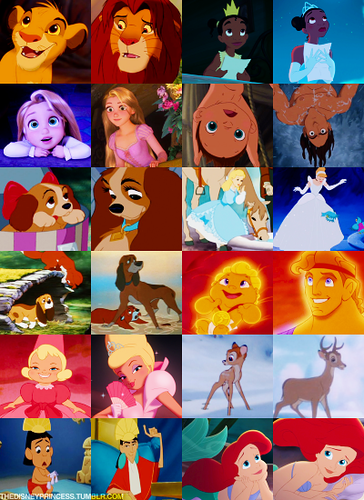 Disney Characters Then and Now. . Wallpaper and background images in the Disney club tagged: disney movie characters. Aww, little Rapunzel is adorable!